ROAD TOWN, Tortola, VI- Over a week ago some 18 persons were still living in the Multi-Purpose Sports Complex in Road Town, some six months after hurricanes Irma and Maria destroyed their homes in September 2017. The persons living there had said they had nowhere else to go and they were not in a financial position to rent an apartment or repair their home. But many persons were also calling for the indoor sports facility to be made available for sports programmes to resume there. 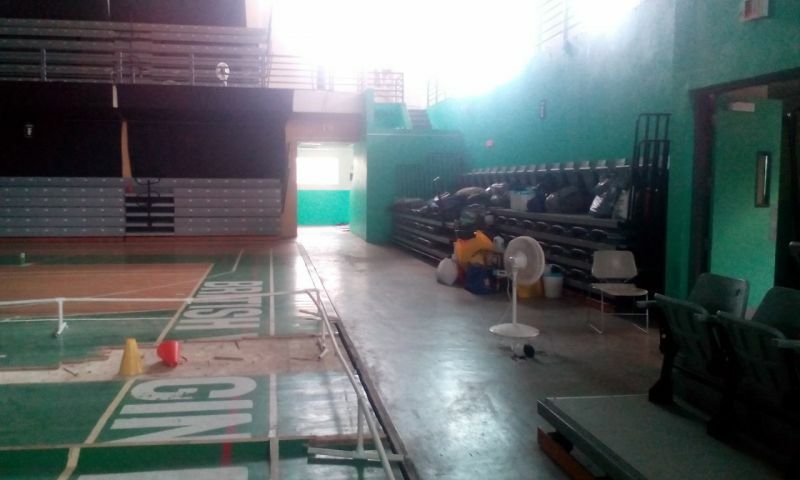 One sports commentator had even accused the occupants of holding the building hostage. 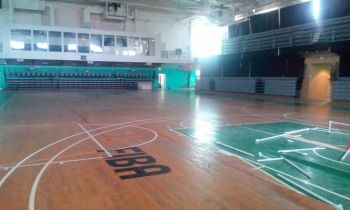 “We really need the Sports Complex. We need to get the people out of there. They holding the building hostage. Enough is enough,” stated host of the ZBVI 780 AM sports show, Sports Talk, Mr Clement 'Tony' Donovan aka ‘Bone Crusher’ during a live broadcast of the show on Saturday February 24, 2018. Meanwhile, some of the occupants told this news site on March 27, 2018 that they had received a letter from Government stating they needed to vacate the building since it had to be repaired for the next hurricane season, just about two months away. They said they were being relocated to another shelter in Long Trench, on the main island of Tortola. One person stated that they were even told that if they refused to leave the facility their belongings would be taken outside. Executive Director of the BVI Recreational Trust, Mr Stephen Payne declined to comment to this news site when approached. It is not clear how many of the persons have now taken up residence at the shelter in Long Trench. 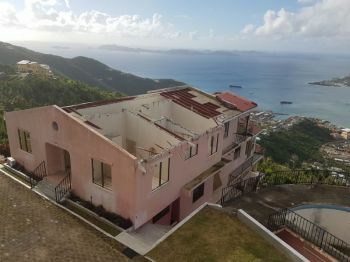 The National Democratic Party (NDP) Government had told the people of the territory back in December 2017 that it had set aside monies, $15M, to lend persons in need to repair their homes. However, during the Third Sitting of the Third Session of the Third House of Assembly on March 23, 2018, Minister for Health and Social Development Hon Ronnie W. Skelton (AL) stated that the money has still not been released for the promised assistance. At last, at last thank God almighty freedom at last for our young people. So what about the gentleman who drove to his home every day to bath, came back with fresh clothing and saved on his electricity bill. Why can't he be forced to stay at his home? Thank you. It's about time. You should Give persons money to rebuild .. Not LEND . @lend, so exactly where is this money that you are saying they should give to people to build back suppose to come from? I went out and scratched up what I could to rebuild my home. I never sat back and looked for the Government to hand me any money to rebuild. Stop encouraging laziness. All the blasted money from the loan ..
Home and land are assets They could sell land and house and do rental or move with sales proceeds to a cheaper place and start over. Or they could be given a loan. Fletcher Scatliffe was there because he wanted to be there. He can go to his home on the hill which is in pretty good condition if he chooses to. why dem couldn't go up in flecther house? It is a shame that Fletcher was allowed to squat there period, having a big house on the hill overlooking the same Sports Complex; it is a shame that other persons with so much family was abandoned there; and its a shame that some of us in this country encouraged that behavior. It is this type of action that is dragging down this country. It would not have been tolerated anywhere else. The Government coffers cannot take care of everybody especially those who refuse to do an honest days work! Sorry Fletcher, I see you as a MOOCHER. Shame on you man. You took advantage of the sautation. And this is a Christian country. Choosing sports over homeless people. Nice keep up the values. You're doing so well. What's the saying again. Oh yeah " What would Jesus do. Thank you to the persons responsible for doing this. If Government is paying for apartments I pray there is a cutoff date. People talk about Virgin Islanders thinking they are entitled but many come here and want to live off the system too. QUOT the government own Prospect Reaf? Can't they knock up a building there for those people? Did you take a close look at Prospect Reef? Not much left of it to live in!